A report by Tom Perkins for the Detroit Metro Times. Our thanks to Peter Jordens for bringing this item to our attention. Chef Godwin Ihentuge’s Afro-Caribbean restaurant Yum Village has been open for lunch in New Center for several months, but he says it’s just about time for him to expand to include dinner hours. 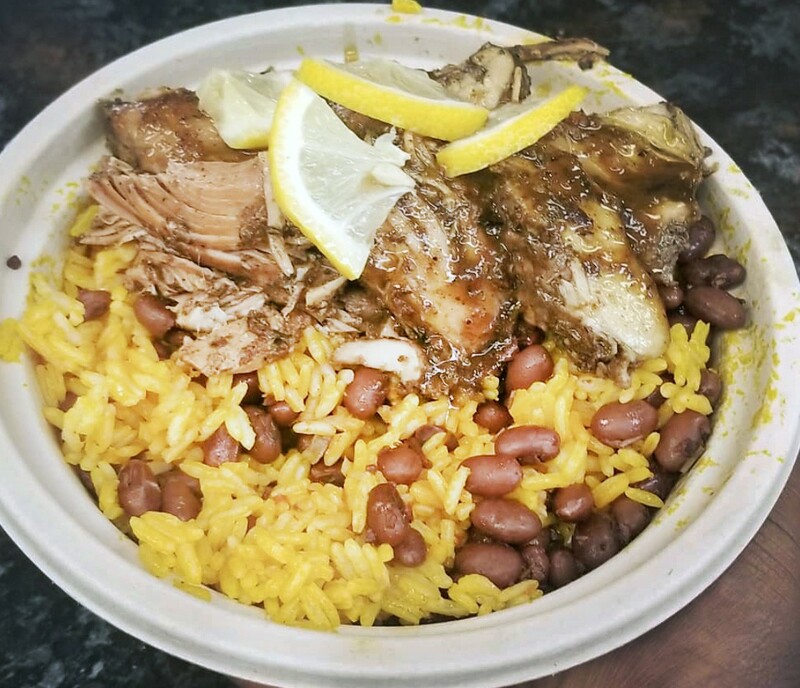 The menu is full of Caribbean and West African dishes like jerk chicken, maafe, jollof rice, suya fried chicken, smoked pepper fries, and several vegetarian options. We recently took our first bites from the new restaurant and can say that it’s nothing less than excellent. Yum Village is operating out of the former Atomic Chicken space at 6500 Woodward Ave. The area is still a little challenging for a new restaurant as there’s little residential in the immediate vicinity, and many of the storefronts are still under renovation. But Ihentuge says he’s confident Yum Village will be successful. Starting next week, it will be open from 11 a.m. to 8 p.m., then by the end of May its hours expand to 11 a.m. to 11 p.m.
Plans also include evening events like cooking classes and S U Y A Fridays that involve art shows or music on the last Friday of each month. On April 26, Yum Village will host a a sacred drum circle that’s put on in partnership with Detroit Afrikan.